Do you want your 'I Do's' to be something to remember? 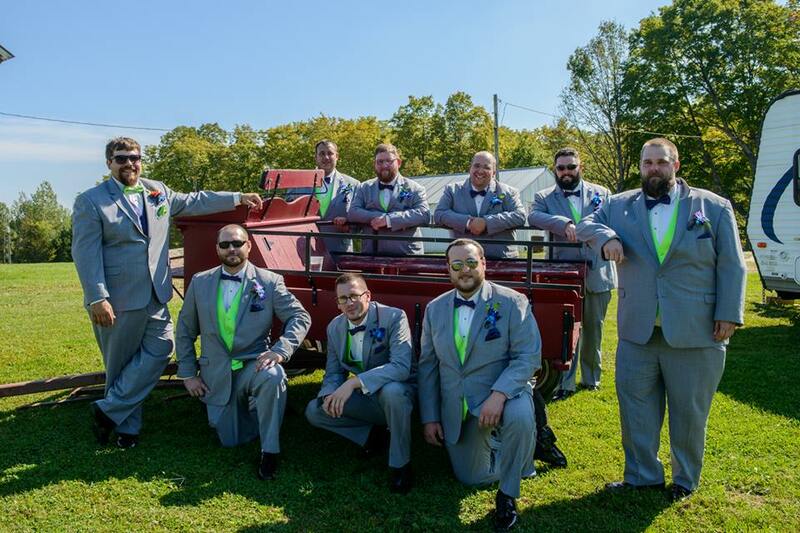 We hosted our first wedding in the fall of 2017 and had a great time. (Thanks Eric & Hannah!) It was so much fun we'd love to do it again. Our barn can easily accommodate 150 guests, or maybe you want to have the gorgeous Christmas trees as a back drop for your ceremony. Every wedding is special and unique. Contact us to work out a plan just for your special day. It can be as simple as the barn ceremony or include a tent for outdoor reception space. Use the 4 bedroom vacation rental for out of town guests, girls space to get ready, or your wedding night. All of Elmcrest Acres can be yours for the whole weekend. We have a licenses kitchen and can serve up to 250 guests. Include your rehearsal dinner or a bridal brunch. More out of town family than you know what to do with? Want a space for the bride and her girls to get ready, or maybe the Groom and his guys? We have a 4 bedroom vacation rental on site.